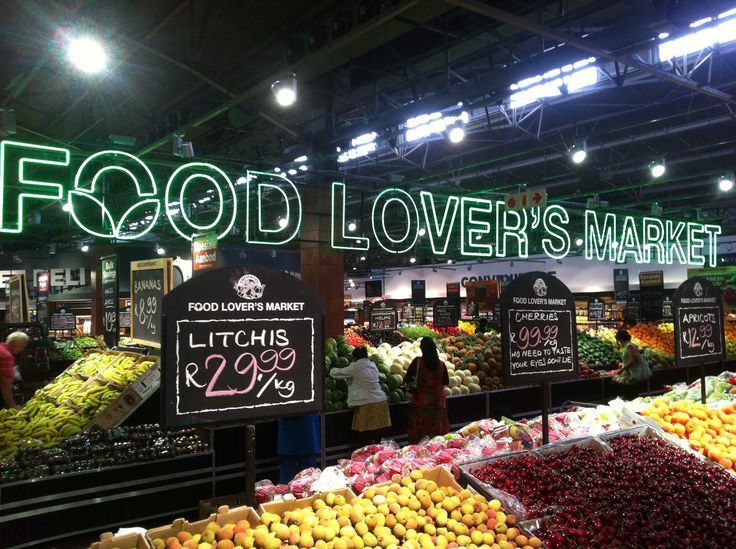 Food Lovers Market/Fruits Veg City is one of South Africa’s most prominent and successful retail stores. All over the country and beyond, the multi-faceted food company has maintained an impeccable reputation in its operations and services spanning over 2 decades since its inception. In 1993, two brothers, Brian and Michael Coppin launched the first Fruits & Veg City store in Kenilworth, Cape Town. This was shortly after SA’s independence in 1990. With prior experience in retailing, the brothers kicked off what has become one of the blaze-trailing family businesses in South Africa. The starting idea was to produce nothing short of fresh fruits and vegetables, straight from the farm. According to the duo, the company and its services are “placed on good old family values such as wholesomeness, trust, honesty and integrity”. From just one store in a historically challenging period, the retail chain now has well over 100 stores across South Africa. They also have outlets in Tanzania and even Australia. These brothers took age-old farming and the traditional marketing system to another level with their large-scale initiative. Known to be the parent establishment, Fruits & Veg City is famously known for supplying assorted fruits and vegetables in their freshest and healthiest states. Dried fruits and nuts are also available in their stores, courtesy of one of their affiliate companies, Dried Fruit for All, which is also a leading food business firm in the country. You know what they say about variety, Food Lovers Market caters to a range of food services. The brothers set up an eatery after the launch of FVC with the intention of food tasting. Brian and Michael toured around the world to see what unique brand they could come up with in the food industry. And this later turned out to be the initiative that led to the birth the “food lover’s market” (FLM) concept. FLM outlets house multiple sections for their various food supplies- fruits, seafood, fast foods, meat and food vending. In their restaurant, you get to have a taste of world class recipes, beers and the finest of wines. This is the part you want to go to for your light refreshments – snacks and drinks; breakfast treats and some Mediterranean diets to remember. Sea Foods – Here be sure to get top quality lobsters, prawns, crabs and red snappers. Bakery – Fondant doughnuts, muffins, croissants, milk tart, panini rolls and cinnamon buns. Butchery – You can check out their lambs, steaks, chicken, beef fillets… You can have them already cooked into a dish or raw. The Coppins brother had a vision of creating a modern store inspired by the typical traditional market setting where farmers brought their fresh produce from their farms to be sold to the public. Their idea for the food products revolves around their freshness and healthy quality as it was in the past before gross commercialization took the better part of the food industry. Fondly described as the food theatre, FLM works with farmers who are experienced in growing, harvesting, storing and packaging fresh produce for exporting. The market opens every day of the week but the trading hours differ from city to city and shop to shop. To find a Food Lovers Market near you and their trading hours, you will have to use the store locator by clicking here. For sure this is the one stop shop for stocking up your kitchen and your tummy as well. We love this food store for the guaranteed freshness of their food supplies. Little wonder why they are still in business after 25 long years. To ensure transparency in their operations, buyers see to it themselves how their foods and fruits are handled and packaged at the pack houses. Still inspired by the old marketplace business pattern, Food Lovers Market, formerly Fruits & Veg City, insists that making these fresh foods affordable is one of the strong objectives of the food retail store. For effective distribution, Food Lovers Market has its own logistics company which ensures that clients’ orders get to their destination in the shortest possible time and in its best natural condition.